LA 2028. The Games of the XXXIV Olympiad, the multi-sport event, will be hosted in the City of Los Angeles in California, USA. The future champions are already in preparation – dreams are already beig built – for what is arguably the world’s most rigorous, most prestigious, and most talked-about sporting event. But LA 2028 will be worlds away from another Olympiad held in the same city 11 years ago: The 1984 Summer Olympics. Fourteen Eastern Bloc countries, including the Soviet Union and East Germany, boycotted the Games in response to American-led boycott of the 1980 Summder Games in Moscow. Yes, there were still a Soviet Union and an East Germany. Meanwhile, an austerity measure led the organizers to use existing facilities for the sporting events, with only the new swim stadium and the new velodrome being built with corporate sponsorships. Four young male swimmers represented Singapore in that game: Ang Peng Siong, David Lim Fong Jock, and the Oon brothers Jin-Gee and Jin Teik. Being an Olympian, many years prior to the super-athletes and advanced sports science, was already the dream then as it is now. No one has emerged from the games the same. Mr. Ang would remain in sport as a coach, as would Mr. Oon Jin Teik, albeit in the periphery, as acting head honcho of Singapore’s prime sporting complex. “We manage a highly complex project because it is a commercial entity that is seen as a national icon,” explains Mr. Oon, acting CEO of SportsHub Pte Ltd, the consortium that runs the Singapore Sports Hub. Mr. Oon, the former COO, took over from Mr. Manu Sawhney in May 2017 when the latter stepped down as chief executive. “There is a fine balance in handling what the community expects of us, and our commercial goals. Operationally, the campus covers a lot of ground. That is why managing the Sports Hub requires an integrated approach; we need a dedicated and talented team to plan, operate, maintain, and manage it on a day-to-day basis, 365 days of the year,” Mr. Oon continues. Opened in June 2014, the S$1.33bn Singapore Sports Hub comprises the national stadium, a multi-purpose indoor arena, a water sports centre, the existing Singapore Indoor Stadium, an aquatic and water leisure centre, and commercial developments such as a shopping mall, and more. It is among the world’s largest sporting Public-Private Partnership (PPP) projects in the world, and stands as Singapore's largest flagship PPP project of this nature. In short, it is a mammoth project that requires a mammoth endeavor to run. “I’m proud to say, though, that my staff have consistently been able to put together a packed calendar of events for Singaporeans and visitors to the city.” From 2015 to 2016, there was a year-on-year 20 percent increase in the number of events, from 146 to 180. This year, the management expects around the same percentage increase. “This is a public-private partnership project, which in layman’s term means the government, as owner of the project, outsourced the design, build, finance, and operate roles to the private sector for 25 years,” Mr. Oon says. After 25 years, the project returns to the government. A project agreement was signed between Sport Singapore, SportSG (as the government representative), and SportsHub Pte Ltd, SHPL (as the private sector consortium who won the tender in 2010). The project was set up to deliver government’s vision of a fully integrated sports, entertainment, and lifestyle hub for all Singaporeans. “The desired outcomes of this project was spelled out in the contract, and both SportSG and SHPL would play their respective roles to deliver this project,” Mr. Oon points out. The Sports Hub has two major revenue streams: a monthly unitary payment from SportSG; and all third party revenues. The latter include venue rental, sponsorship, club suites & seats program, facility programs, retail, food & beverage, car parks, and advertisements. While making money is key for SHPL, as expected of a private sector’s DNA, the comprehensive KPIs govern this project and includes number of sporting days, facility management metrics, community foot fall, among others. Competition wise, the integrated model of Singapore Sports Hub is the first of its kind in the world. “Unlike most stadiums in the world, which are built for the sole purpose of hosting major Games, for instance, Asian Games, our Sports Hub was not designed only for that purpose alone; it was instead designed for ‘24/7 legacy use’. We have the ability to host a variety of events all year round, including major ones such as the SEA Games and ASEAN Para Games. Based on the first three years of operations, since June 2014, the Singapore Sports Hub has seen its USP to be as follows: spectatorship, participation, and industry development. The Singapore Sports Hub has proven its capability in hosting world-class sporting events with international athletes, regional competition with Team Singapore athletes, best-in-class entertainment events with international artistes and performers. It was the venue for Super Rugby, HSBC Singapore Sevens, International Champions Cup and WTA Finals 2017. Major international and Asian acts have performed in it, from Madonna to Britney Spears, and from Foo Fighters to Coldplay. National events have also been held at the Sports Hub, including the National Day Parade and the 28th SEA Games. It has evolved into a popular venue for a range of community activities, with dedicated facilities and spaces for fitness and wellness, lifestyle and cultural activities, festivals and carnivals, and elite training and competition. It has also attracted programs for corporate sponsorships with impactful ROIs, business partnerships, and MICE venues & experience. “And we will continue to focus on these areas,” affirms Mr. Oon. From a public perception perspective, the issues Sports Hub faced in the three years since it opened are not uncommon to issues other mega projects of this scale face, Mr. Oon emphasizes. It started with a few significant issues, such as the National Stadium pitch quality, a weak calendar content, and the recent senior management saga. However, at the same time, the project has successfully hosted world class sports and entertainment events. Different events cater to different audiences and interests. So a visitor to Sports Hub may come just once a year, pending on his or her interest. “But the reality is that we have around two million visitors a year since 2015. Hence, we have to work very hard to keep amplifying the vibrancy of our facilities through continually engaging the community. In 2010, after the successful conclusion of the inaugural Youth Olympic Games where Singapore Sports Council (SSC, now called SportSg) played a significant role in the youth sports development master planning, games organization, and legacy planning to capitalize on the momentum of the event, SSC also successfully concluded on the financial close of the Singapore Sports Hub project. Subsequently, Mr. Oon was head-hunted to join Hyflux as the Group Executive Vice President and China CEO, based in Shanghai from 2011 to 2014. Reporting to the Executive Chairman and Group CEO, Olivia Lum, he was given the task to lead the almost 1,000-staff organization to focus on the 20-plus PPP projects in seven provinces, build and operate Hyflux China’s largest wastewater plant in Zunyi, operate China’s largest desalination plant in Tianjin, and manage two Japanese JV partners. “At that point, I felt that it was necessary to handover the leadership of the Sports Hub project to my successor, that is, the next CEO of SSC (SportSG), after being involved with this project since 2004. For good governance, I had no plans to join SHPL (the winning consortium) since I was the one who led the tender evaluation and award of the project,” says Mr. Oon. But after he returned to Singapore from Shanghai, and took on a new assignment with Hyflux (he was appointed Group Executive Vice President, Global Marketing & ASEAN Business Leader), he had a casual catch-up with the then-CEO Philippe Collin Delavaud. During that personal meeting Mr. Oon asked Mr. Delavaud how the project was coming along. Mr. Delavaud shared the progress and multiple challenges, and ended up asking if Mr. Oon was keen to join SHPL as COO, and help move the organization – from construction mode to full operations and managing the complex consortium partners structure, thereby starting the delivery of the project’s desired outcomes. “How did I feel,” Mr. Oon reflects on his decision to return. “Well, I thought I was done with this project. I handed over everything during my exit as CEO SSC, including business contacts and project details. For several days, it was a feeling of mix emotions. 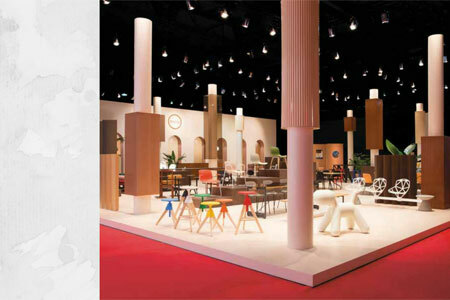 This project was ‘my baby’ – I saw it being conceived and I brought it to life. I missed the three-year construction phase while I was in China and did not keep track of its progress. Mr. Oon understands the strategic intent of the Singapore government, as much as the intricacies of the project and its model, as well as the desired outcomes. “While I heard and evaluated the business proposition of SHPL during the tender stage, I was finally being exposed to the actual delivery model that SHPL created. Certain aspects of the structure and contracts could have been done better, and those are being enhanced as we speak. Along the way, Mr. Oon discovered that the greatest challenge was to rally a team of staff from different partners, made up of international and local nationalities, each with their own breadth of experience. While they brought ‘templates’ of how certain areas should work, he also discovered the need to direct and re-direct them towards what this Singapore project was intended to be. There’s no doubt that Mr. Oon understands the SSH as a project, having been there since inception and planning stages, but what was his understanding of it as a business proposition? Has he considered it from various angles prior – as center for sports and sporting events, as a potentially profitable business, as a lifestyle hub with retail component? “This question is an example of what the general public would ask. A really good question. The holistic model was considered from all angles. The only two areas that are new that I believe needs some updating would be digital strategy and security in the New World. “With the digital world moving towards AI, AR/VR, IoT, and Singapore’s Smart Nation blueprint, we are getting deeper insights into this area to understand its implications and to develop a new roadmap for enhancement. With the ever-changing landscape of security threats and risks, this national iconic project must work very closely with our national security agencies for total safety. “This project is not a building or a cluster of buildings. This project is a small city that is porous with a 24/7 access. To ramp up this city from scratch and without any models to follow, SHPL (together with SportSG) was pioneering a new urban solution for a city looking for new ways to differentiate for its citizens and to compete in the world of business. Startup problems are expected, especially with venue readiness being the initial area of concern. As we stabilize the operations, we begin to see new areas of challenges. The critical success factors for SHPL are to predict the problems, prevent the problems from taking place, and fix the problems quickly if they do arise. More importantly, we are now reviewing our areas of risks diligently for preventive actions and corrective actions. Mr. Oon is quite simply a super-passionate sportsman and business professional, a Singaporean who feels lucky to have benefited from the national system of his country, the school system (he attended the Anglo-Chinese School), and the unity of his own family. Mr. Oon often emphasizes the importance of stakeholder management and engagement. “In addition to our government clients, we need manage the hirers, promoters, vendors, NSAs, etc so that we can attract and serve the consumer groups of children, youth, working adults, families, and less privileged and give them a memorable experience. “I have one mission, and that is to transform the Singapore Sports Hub into a world-class, integrated sports, entertainment, and lifestyle hub for all Singaporeans. I want the current and future citizens and residents of Singapore to experience and enjoy this incredible sports city. And I know how to get to that end state. This is why I am still associated with this project and sitting on the hottest seat in town. 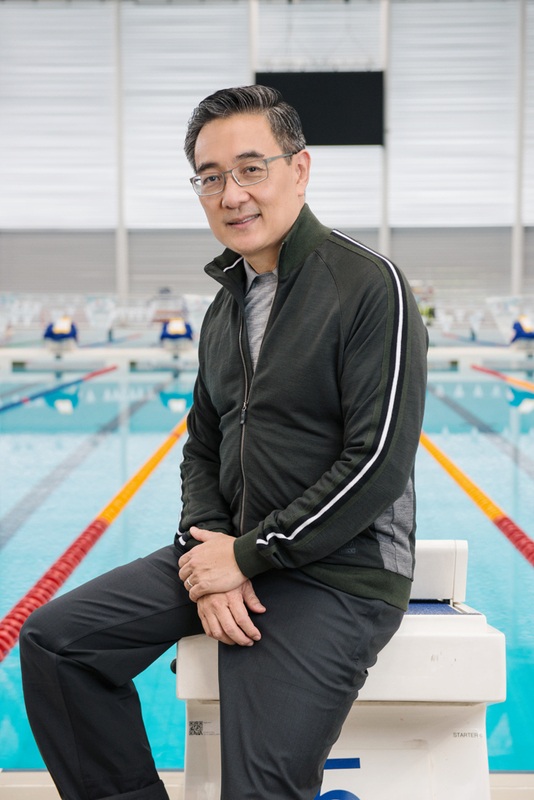 Mr. Oon has been involved with sports from the age of five, learning to swim, and progressing to a Singapore Olympian at the 1984 Los Angeles Olympics. He was with the National Sports Association (Singapore Swimming Association) as Secretary-General and have sat on countless committees and projects relating to sports (e.g. Singapore National Olympic Council, Singapore Sports School, Youth Olympic Games, F1 Singapore GP, etc). In the business world, he worked in several industries (e.g. electronics, apparel, industrial, chemicals, food, environmental solutions) in numerous functions (e.g. manufacturing, sales, marketing, consulting, technical development, regional management, P&L businesses), lived in a couple of countries (e.g. USA, China), and worked in a number of regions (e.g. Asia-Pacific, North America, Europe).